It’s true. We can contact people on the other side of the world, day and night. The problem is that we are often in contact with each other, but not truly connected with each other or with ourselves. We live at a time in which there are ever-increasing demands on us to perform well, to get as much done as possible as quickly as possible, and to be “on” all the time. It seems work is everywhere we are, and there is always something to be done. This is draining our ability to be productive because we are not getting the mental break we need each day. Enter mindfulness meditation. 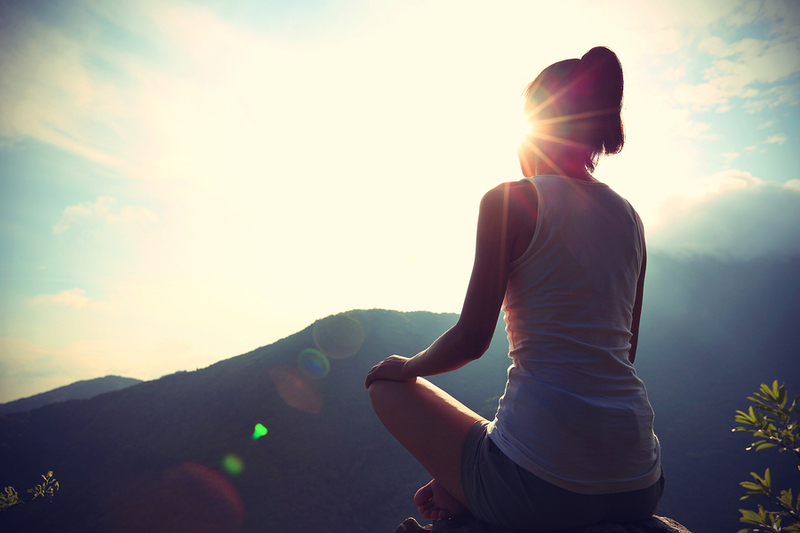 The act of mindfulness is catching on throughout the business world. To be mindful is to be aware of the present, of yourself, and of your surroundings as they exist in the present moment. It is about disengaging the autopilot on which so many people seem to operate. It doesn’t seem as though mindfulness is a passing fad, either. Large corporations such as Google and Target are bringing mindfulness to employees as part of their employee perks. Now, mindfulness is not a new concept by any means. It is based on Buddhist meditation practices that are 2,500 years old. However, in the 20th century, the concept was brought to light in terms of our modern culture thanks to researchers such as Jon Kabat-Zinn, who founded the Stress Reduction Clinic and the Center for Mindfulness in Medicine, Health Care, and Society, and is a Professor of Medicine Emeritus at the University of Massachusetts Medical School. He has also studied Buddhism under teachers Thich Nhat Hanh and Zen Master Seung Sahn. But why the sudden, intense focus on mindfulness in the 21st century? According to the American Institute of Stress, absenteeism due to stress has been on the rise, with large corporations losing as much as $3.5 million per year because of it. In fact, job stress, in terms of absenteeism, accidents, employee turnover, reduced productivity, and workers’ compensation, accounts for $300 billion in losses each year. Mindfulness meditation seems to be the solution to this problem. Huffington Post reports that Aetna employees that have taken the offered mindfulness classes have experienced a 28 percent drop in their level of stress. That is significant, and the benefits of practicing mindfulness are plentiful (we’ve even written before about how meditation can potentially make you a more successful entrepreneur). All of these benefits amount to the all-encompassing benefit of increased productivity in the workplace. As USA Today reports, mindfulness meditation leads to an increase in productivity because, with less stress and a greater attention span, workers have better concentration over an extended period of time, allowing them to get more done during their work day. Since 2007, Google has offered its mindfulness program called “Search Inside Yourself.” Thousands of employees have gone through the program and these people report having increased patience, a higher level of calm, and an increased ability to listen. Aetna, mentioned above, has offered mindfulness meditation since 2010. They offer employees the benefit of two separate programs, including “Mindfulness at Work” and “Viniyoga Stress Reduction.” Aetna conducted a study of the effects of these programs on their employees and found those who took the programs were better able to handle stress. They also found there was no difference in the results whether employees took the program online or in-person. General Mills has been on the mindfulness bandwagon since 2006, offering a number of mindfulness courses that have been designed to improve employees’ clarity, focus, and creativity. Their program includes weekly yoga classes and meditation sessions, and every building on their campus has a room dedicated to meditation. What better to call the Target mindfulness program than “Meditating Merchants”? This mindfulness program was launched in 2010 and a number of company locations offer the program to employees, including those at their headquarters in Milwaukee. In 2012, Intel started offering their “Awake@Intel” mindfulness program, and those who have participated in the program have reported feeling less stressed and less overwhelmed. They have also reported a boost in mental clarity and focus and an increase in creativity, insights, and new ideas. Of course, nothing is perfect and there are times when mindfulness isn’t helpful in the workplace. Jason Marsh, speaking with The Greater Good, indicated there is a risk of a company using mindfulness as a Band-Aid solution for greater problems such as over-demanding working conditions. He argues that a company’s primary focus should be healthy and reasonable working conditions; once these are established, they can help their employees cope by implementing mindfulness programs. In fact, Psychology Today reports that a lot of the stress people are feeling around mindfulness is really related to the pressure our society places on people to become perfectionists, even when it comes to the way mindfulness is done and the results people get from it. Many people practice mindfulness, but do not end up getting the results they have read about, causing increased stress and frustration. For this reason, there are some people who are not experiencing the benefits of mindfulness because they don’t allow themselves to experience it in their own way. Instead, they simply give up, thinking it doesn’t work. The Guardian reports that some people have also found themselves increasingly anxious and panicky, particularly those people who actually thrive on stress. There was even one participant who ended up having painful childhood memories resurface and had a nervous breakdown. While this isn’t a common thing to happen, it’s something to be aware of. There is no doubt that mindfulness is effective and that it works to help reduce stress and increase productivity for many people. However, it is not the only way to achieve an increase in productivity. At the end of the day, mindfulness meditation can play an important part in your overall work experience and your productivity. The key is to remember that there is no one right way to practice mindfulness, and that it might not be for everyone. By taking the time to determine what works best for you (or, if you are thinking of introducing mindfulness in the workplace, finding what works best for your employees), implementing mindfulness could be a fantastic way to reduce work-related stress and boost productivity.